If ever there were to be a gluten-free heaven, I just quietly slipped away from life on earth and made my way there! In fact, what I actually just experienced is a reality … a wonderfully sweet and satisfying reality where I was able to meet a friend for morning coffee and didn’t have to smuggle in a gluten-free breakfast bar in my purse. Gluten-free heaven has a name. 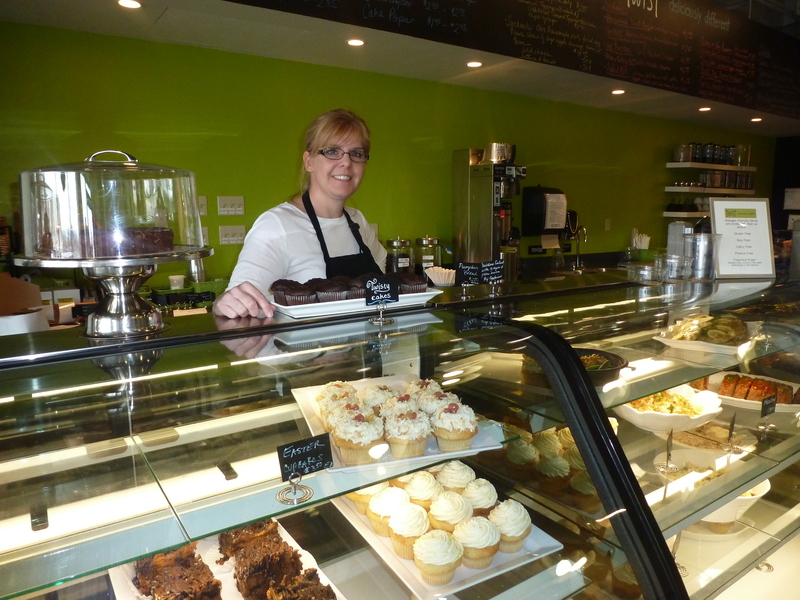 Twist Bakery & Café, which opened this past December in Millis, Massachusetts, was recommended by a neighbor whose daughter has celiac. Sure I expected to see a few gluten-free offerings … the usual wrapped muffin or chocolate chip cookie, located on top of the plexiglas case filled with a lovely assortment of gluten-filled scones, muffins, pies and cakes, all of which are, alas, off-limits to me. Indeed, Twist had several plexiglas cases, and yes they were overflowing with colorfully frosted cupcakes, scones, muffins, brownies, macaroons, lemon squares, and even bread pudding. But the “twist” – the difference – is that all of them are free of gluten and other common food allergens. Yes, you could say Twist is my gluten-free heaven. I’m happy to say, Twist’s food is not just good for being gluten-free, it is just plain good! My breakfast companion, who isn’t required to eat gluten-free, thoroughly enjoyed everything she ordered. I had a delicious breakfast sandwich on a roll, with egg, melted cheese and bacon, and since we lingered over coffee I later enjoyed a delish orange and ginger muffin. In addition to the artfully prepared bakery items, Twist’s menu offers breakfast items of oatmeal, egg sandwiches, and fresh fruit. 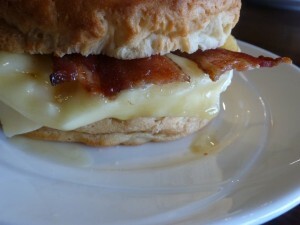 For lunch and dinner, there is a variety of sandwiches (pulled pork to name one), salads and freshly made soups. Also available are platters containing a variety of meat, chicken, and roasted veggie dishes, and even chicken pot pie! All of Twist’s products are prepared daily on site and you can tell the ingredients are fresh. Also for sale, are loaves of homemade gluten-free bread ($11.95) and rolls (plain and poppy seed) – the same bread/rolls used for the sandwiches. The lunch & dinner items change daily and may include such savory dishes as Chicken with lemon, garlic and thyme, Chicken fried rice, Risotto cakes, Lasagna, Tourtiere, Chicken parmesan, Coconut-Mango chicken, to name a few. I saw several people walking away with large take-away bags. Twist offers a nice variety of teas and the coffee station stocked several spices and even lavender sugar for added flavor and sweetening. Twist’s interior is bright and cheery with its verde wall, and large chalk drawn wall art. In addition to the casual dining area, there are a few comfy leather chairs in the front area just beckoning for you to sit down with a cup of coffee or tea, and that well deserved gluten-free scone! I noticed the lack of window signage touting Twists allergen-free offerings, so I asked the owner, Kathryn Ernst, of the neighboring town of Holliston, why she isn’t advertising this in bold letters. Ernst explained her desire is for Twist to appeal to everyone, not just those with special dietary needs. The fact that the food does not contain gluten, or a variety of other food allergens, should be “irrelevant”, according to Ernst, who has been gluten free for five years, and has other food allergies. She believes Twist’s allergy-friendliness will spread among the gluten, dairy, and peanut-free community. I suspect this is true, and it will happen fast! Kathryn has witnessed a few people break down in tears upon seeing what allergen-free delights were available to them (no doubt a few were newly diagnosed Celiacs!). 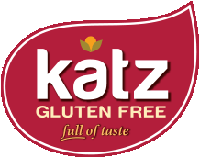 Kathryn Ernst is getting Twist involved in the gluten-free community as well and the bakery will be providing food for an upcoming Metrowest Healthy Villi celiac support group meeting. Of the approximately 22 Twist employees, I met at least one with Celiac. Ernst says she likes to hire individuals who understand the nuts and bolts of allergen-free food preparation and living. On my way out, I thanked Kathryn for offering me something different … an opportunity to walk into a café/bakery where 100% of the items were available to me. Very unusual for a celiac, and yes, very much appreciated. 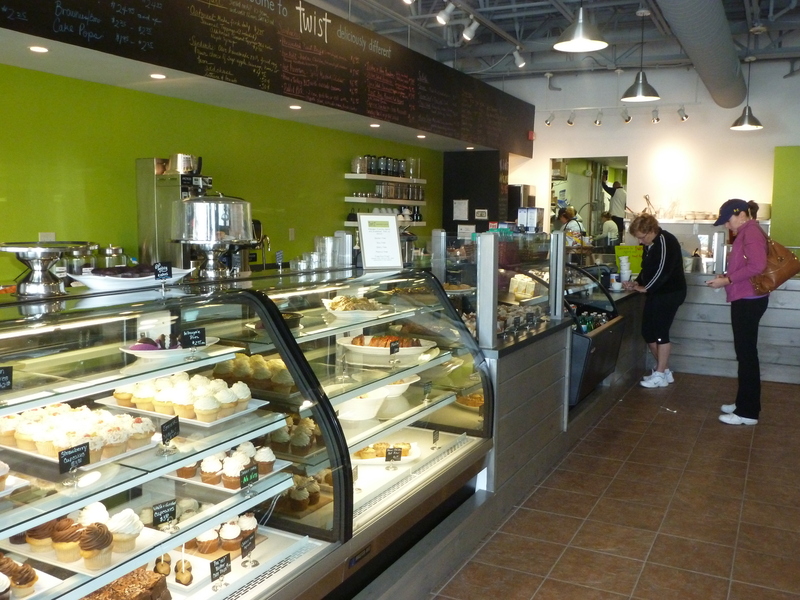 New York City may have Tu-Lu’s gluten-free bakery, and Paris has Helmut Newcake, but now Metrowest/Millis has the “deliciously different” Twist Bakery & Café located at 30 Milliston Road, Millis, MA 02054 (off Route 109, in the plaza near Roche Brothers). If you live in Boston, it is definitely worth the 19 mile drive out to Millis! Meet you there! Thank you so much for doing this. I was misdiagnosed by a dcotor who was misinformed about Celiac and went on eating Gluten for a whole year after I had a feeling that it was the problem. After doing tons of my own research and meeting with two other dcotors and having countless other expensive tests, it turns out I was right the first time. Keep up the efforts! I am not gluten free, but I am at Twist at least once a week indulging in their delicious food. Kathryn and her team do such a great job of thoughtfully preparing the food and flavors. I have never had something there that I did not thoroughly enjoy. You can not go wrong with anything you order. Enjoy! Yes, Twist will appeal to everyone! 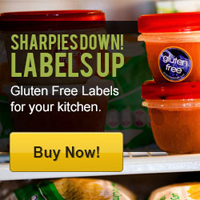 No one is going to miss the gluten! I recently visited Twist and could not believe the selection. I enjoyed everything, and did take home something for dinner. I found the loaf of bread to purchase a little expensive, but I enjoyed it on my sandwich.I will definitely be back. I totally agree it is a slice of GF heaven! Their coffee is great with a cupcake or a muffin. Both times I left with takeout for dinnner!! The chicken pot pie was fabulous. I also had a sandwich on a poppy seed roll, which was delicious. Each time I leave I look forward to my return! I am glad you enjoyed Twist too!